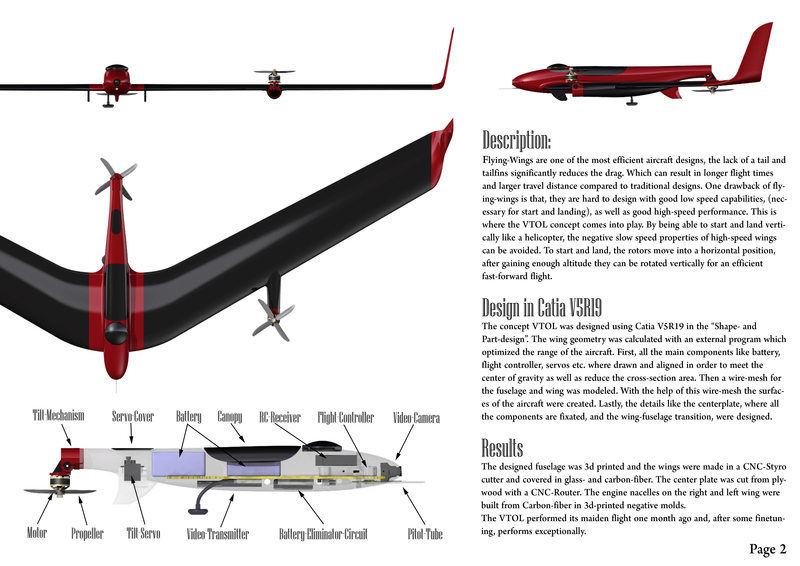 The idea of a tri-rotor tiltable Vertical Take-Off and Landing (VTOL) in flying wing configuration started out 1 year ago. The thought of being able to take-off in your backyard always fascinated me, but until last spring (2018) I never acted on this dream. To big was the challenge, I thought. But after researching a bit, it did not seem impossible and I decided to start small. So, I looked in my box with random drone parts, fished out 3 motors, ESCs and a few servos and started designing. 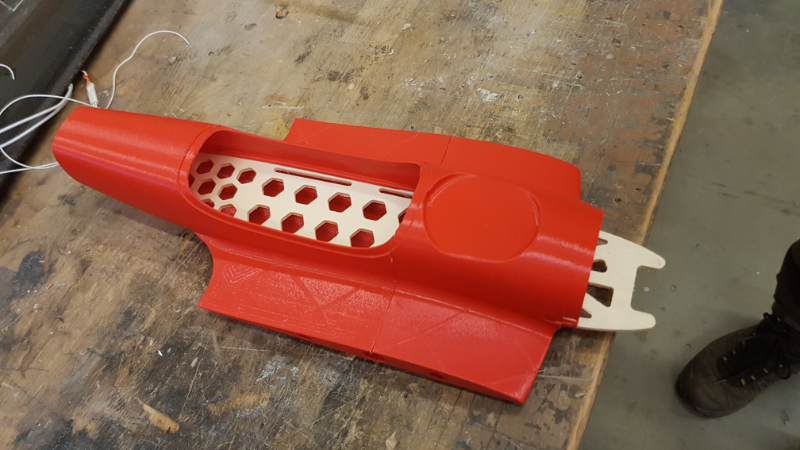 The result was a small completely 3D printed VTOL. The plane flew quite well but its design was not very efficient. 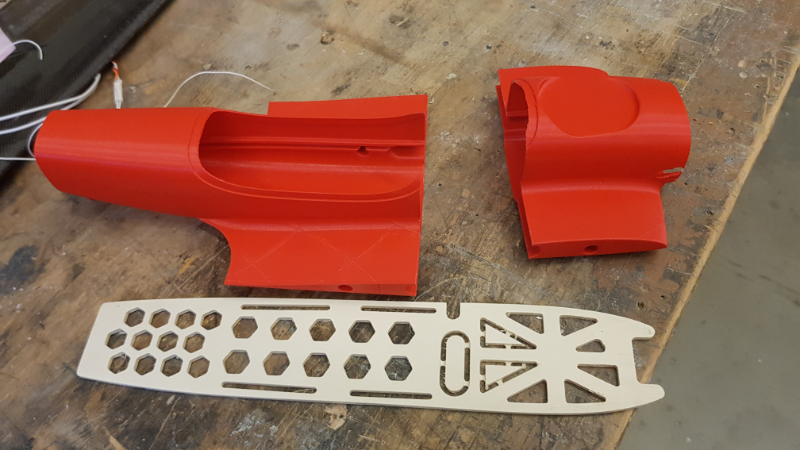 The 3D printed wings and fuselage made the plane heavy and not very robust. That’s why I decided to build a new version. 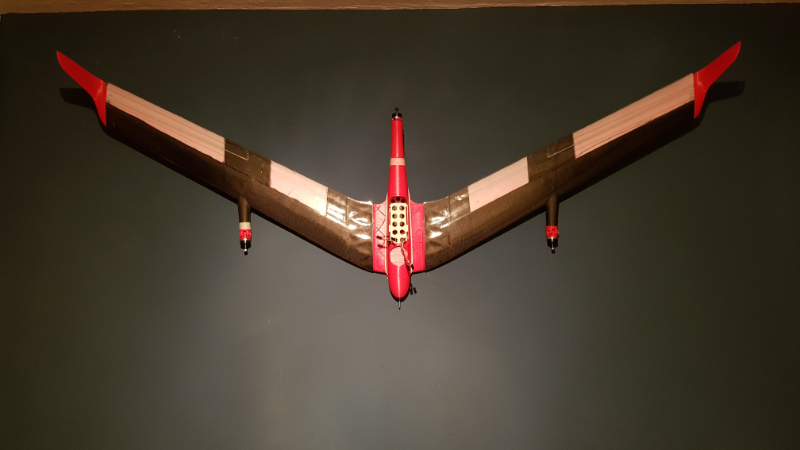 Taking use of a self-programmed optimization software, the wing-shape of the new VTOL was tuned to achieve maximum range for a given motor, propeller and battery combination. 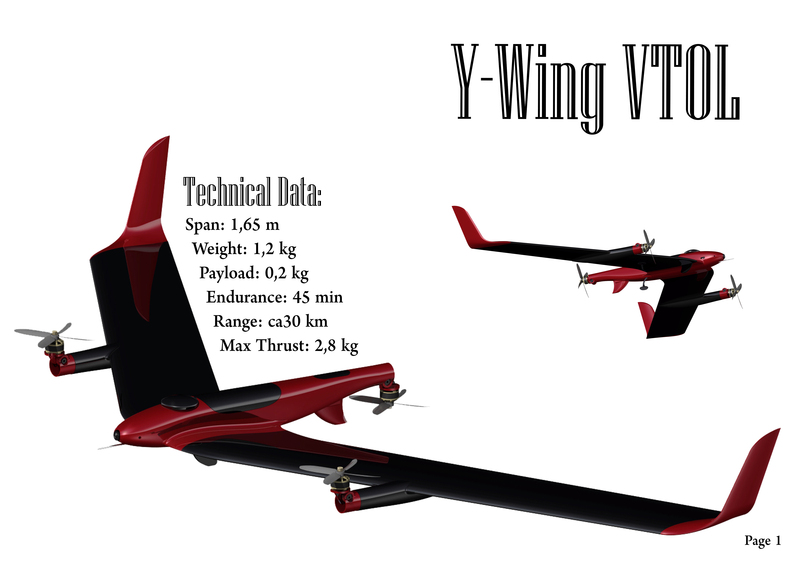 The result was a wing with quite a big aspect ratio and twice the span of the first VTOL. 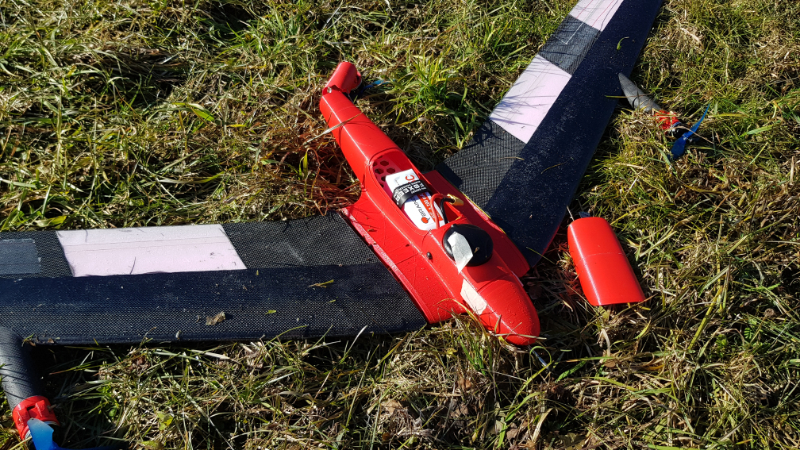 This time a Pixhawk 2.1 was used as a flight controller. This makes it possible to let the plane fly completely autonomous. 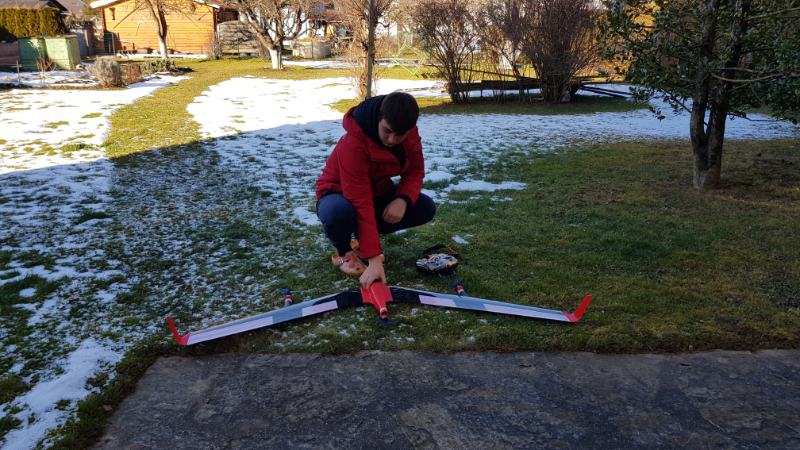 The setup of the Pixhawk for VTOLs is harder, compared to the simple KK2.1 flight controller, used in the first version. 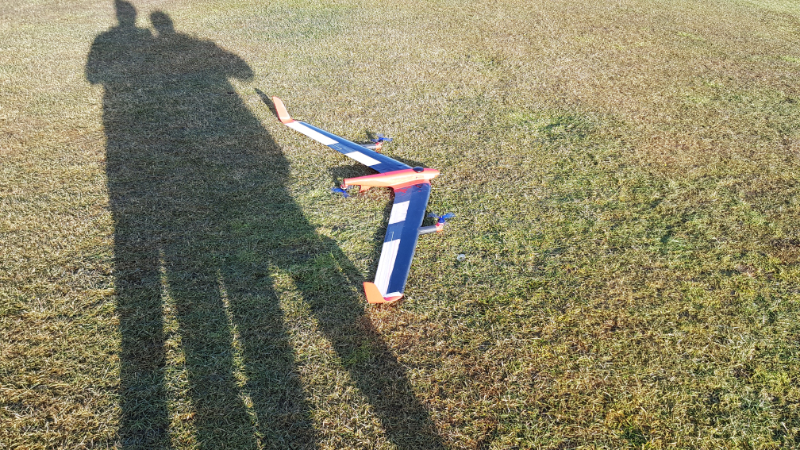 But after a few PID tuning sessions a very stable flight was achieved in multirotor and fixed wing mode. The flight performance surprises. 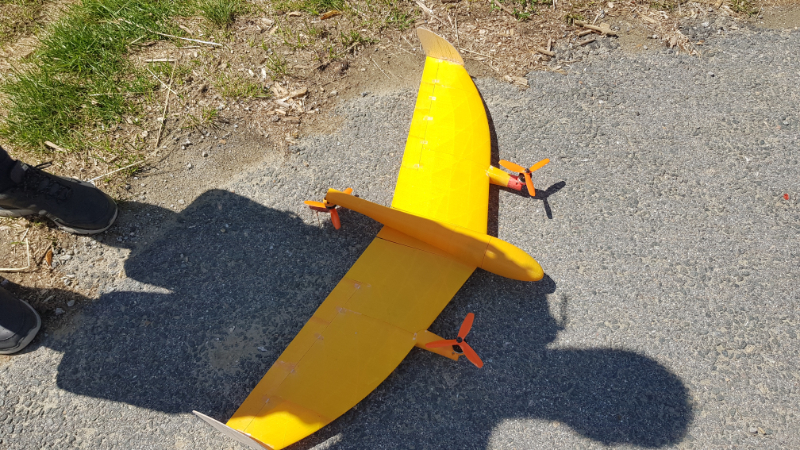 While the 2200mAh battery just allows for about 4 minutes of hovering, flight times of up to 30 minutes are possible in fixed wing mode. The next step is building an even bigger VTOL. And maybe in a few iterations, a dream becomes reality.